And don't forget to sign up for my email alerts, for free stories, exclusive sneak peeks, special offers, new release news, book recommendations, and more! April 5-22: I just finished a new edit on Source-Breaker, and to celebrate, I'm running it at 99 cents until April 22. Don't miss this chance to get this romantic fantasy adventure for a special price! Find it at your favorite ebook store. April 14-22: Portal to Fantasy presents the Spring Book Fair. Tons of fantasy books for 99 cents and free. April 5-7: (The official dates are over, but the promo page is still live! Check it out before it's gone!) The Magic and Romance event at Romantic Fantasy Shelf. Find the perfect pairing of magic and romance in these romantic fantasy and fantasy romance reads. Free, 99c, Kindle Unlimited, and more. 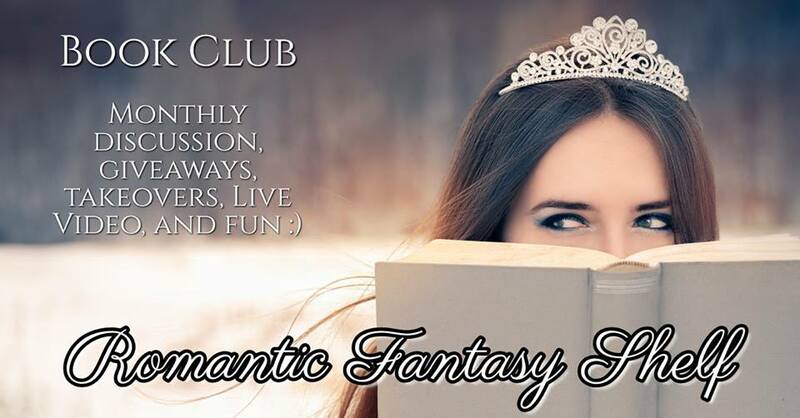 Join us in the Romantic Fantasy Shelf group on Facebook for the monthly book club. Group reads, discussion, giveaways, and more fun!